ALL ITEMS SHOWN ARE SHIPPING FROM WITHIN US. NO DUTIES, NO BROKERAGE, NO CUSTOMS, NO HASSLE. 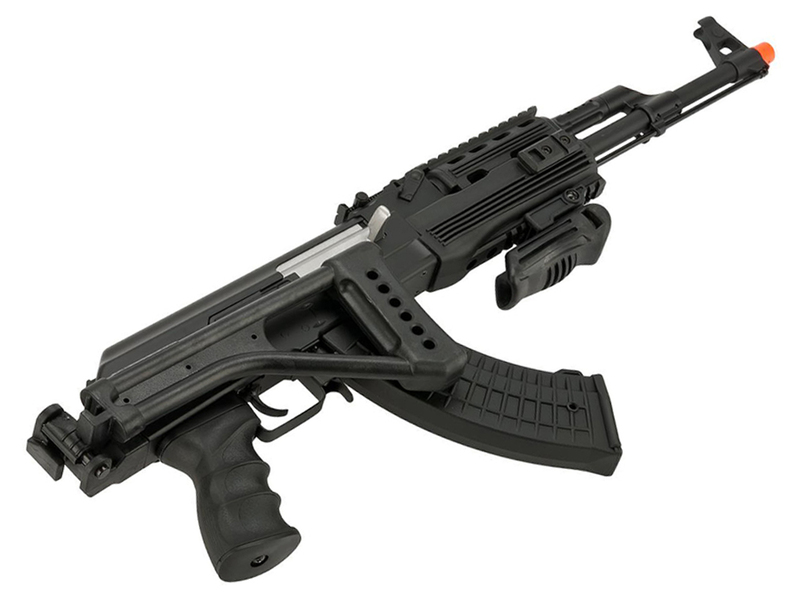 Comments: Officially licensed and bearing full Kalashnikov trademarks, this AK47 RIS Tactical AEG Airsoft Rifle comes with a metallic upper receiver, outer barrel, and a factory-upgraded high-performance full metal gearbox. 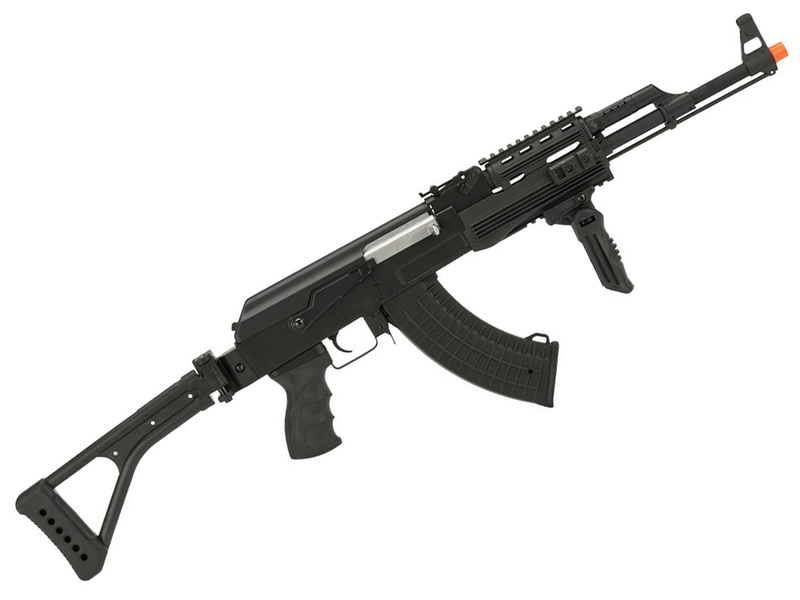 The rifle comes with an 8.4v 1100mah stick battery, a wall charger, a tactical folding foregrip, and two 550rd full metal magazines. 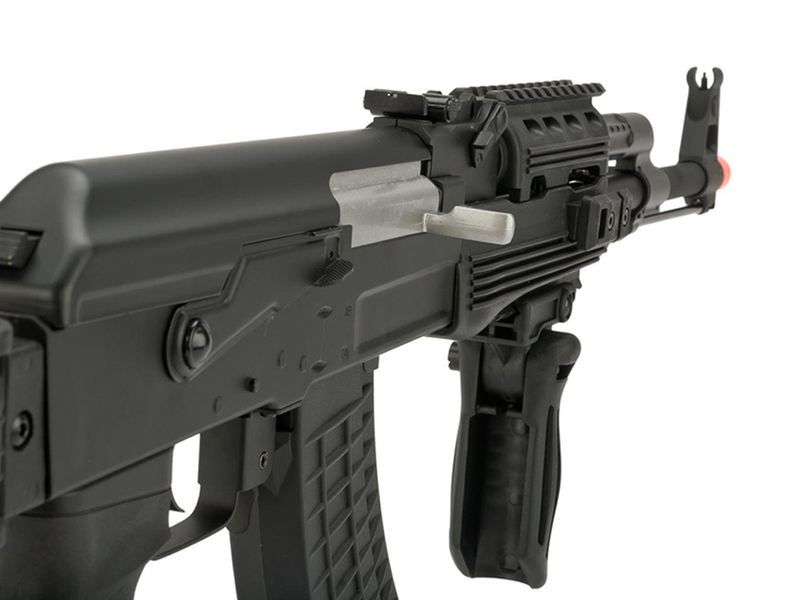 Tactical rails are integrated into the handguard of the rifle, so mounting grips and optics is quick and easy. 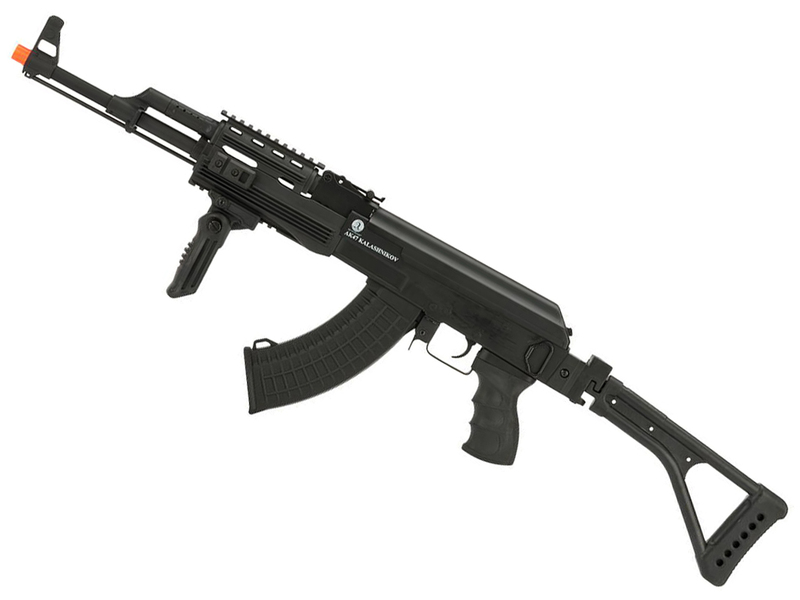 If you find yourself in close-quarters combat, the stock folds to instantaneously convert your AEG into a compact, yet powerful CQB-dominant weapon. KEEP IN TOUCH! and start getting updates right into your inbox.